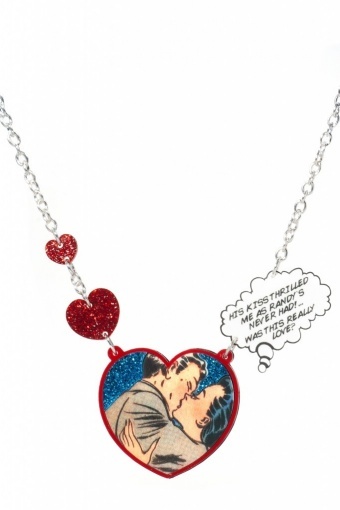 Handmade Pop Art Glitter Necklace - Randy by PUNKY PINS. 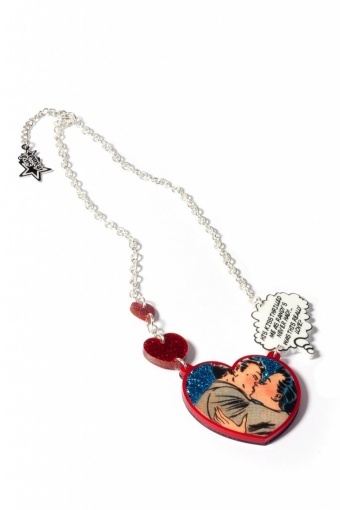 Short Necklace with pop art drawing off a kissing couple in a heart and the text: "His kiss thrilled me as Randy's never had!... was this really love". Laser cut acrylic heart on solid silver plated metal chain necklace (nickel tested) and two red glitter heart beads details.